January 6, 1997 - Illinois Governor Jim Edgar and Chicago Mayor Richard Daley announced a compromise under which the city would reopen Meigs Field and operate the airport for 5 more years. After that, Chicago would be free to close the airport. The NTSB determined the probable cause was inadequate standards for icing operations while in flight, specifically the failure of the FAA to establish adequate minimum airspeeds for icing conditions, leading to a loss of control when the EMB-120 accumulated a thin, rough accretion of ice on its lifting surfaces. A contributing factor was the decision of the crew to operate in icing conditions while near the lower end of the flight envelope while the flaps were retracted. Comair had not previously established minimum airspeed values for flap configurations and for flight in icing conditions. March 27, 1997 - Delta Flight 691, a Boeing B-767-232 lost an 18-foot section of the right outboard flap during the jet's approach to Dallas/Fort Worth International Airport (DFW), Texas. The flight from Orlando, Florida made a flyby of the tower to allow controllers to view the extent of the damage, and the flight crew landed the jet without further incident. The separated flap section landed in an open field in Carrollton, Texas. During the descent for landing, the first officer, called for 15 degrees of flaps. The captain set the flaps at 15 degrees and a few moments later he felt a strong jolt. He noted that the first officer was using a significant amount of left aileron, and had disengaged the autopilot and retracted the spoilers. The jet was under control, and there was no cockpit indications of a spoiler or flap problem. The captain declared an emergency and requested a visual approach to the longest available runway. Cleared to land on Runway 17R, the approach was flown at 180 knots at which the jet was controllable and stable. The flight taxied to the gate and shut down without further problems. A few days later Boeing issued an Alert Service Bulletin calling for an inspection of the outboard flap attachment bolts on Boeing B-767 jets with more than 25,000 hours or 10,000 flight cycles. The FAA issued a Telegraphic Airworthiness Directive applicable to all model B-767 series airplanes, mandating an inspection to check the bolt torque, bolt length, and type of all bolts of both hinge fittings on the left and right outboard trailing edge flaps. 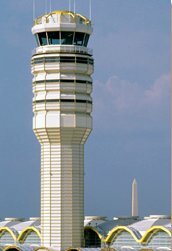 April 15, 1997 - The new Washington National (DCA) Air Traffic Control Tower began operations. Rising 201 feet, the state-of-the-art facility was 114 feet taller than the tower that had been in use since the airport's opening in 1941. Department of Transportation Secretary Slater dedicated the new tower on May 12, 1997. April 9, 1997 - FAA established requirements affecting the operations of U.S. registered aircraft in designated Reduced Vertical Separation Minima (RVSM) airspace. 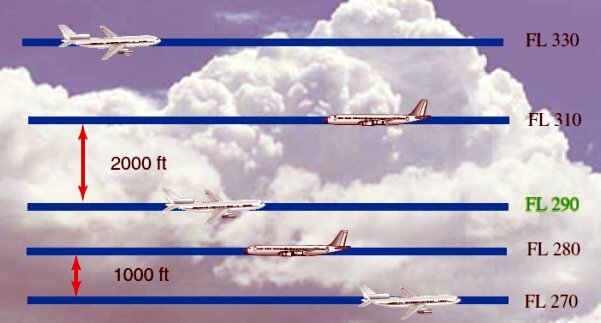 This designation referred to high altitude airspace between flight level - FL 290 (29,000 feet) and FL 410 (41,000 feet) in which a minimum of 1,000 foot separation, rather than the 2,000 foot minimum separation required above FL290, was to be maintained vertically between aircraft. These regulations required operators and their aircraft to be properly qualified and equipped - as well as to obtain approvals certifying these conditions - to conduct flight operations while separated by 1,000 feet. RVSM was to be applied only in designated areas, and the first such area was to include certain flight levels in the North Atlantic minimum navigation performance specifications airspace. July 19, 1997 - A Cessna-172 and a Beechcraft Bonanza were involved in a mid-air collision near Chicago's Meigs Field killing all seven onboard the two aircraft. (7 Fatalitiies) This accident resulted in a safety review of FAA's contract tower program. A flight instructor flying the Cessna-172 was cleared for landing at the Chicago lakefront airfield. She and her 3 passengers died when the Cessna collided in mid-air with a Beechcraft. Minutes before the crash, the Meigs controller was busy dealing with another emergency - involving a third plane, also a Beechcraft Bonanza, that was unable to extend its landing gear. The controller also was directing a moderate amount of activity in and around Meigs' airspace. At one time she asked the pilot of the Bonanza experiencing the landing-gear problem to look around the area of the smoke plumes. The Cessna-172, on a sightseeing flight turned south and flew toward the Bonanza that had been given permission to land. One of the controller's responsibilities is to let pilots know of other aircraft in the area, and suggest direction changes. The ultimate responsibility for avoiding a collision is "See and Avoid" airspace is the pilots. Only one air traffic controller is on duty per shift. Midwest Air Traffic Control Inc. of Kansas was hired by the FAA to operate the facility. When FAA-employed controllers staffed Meigs, an average of 3 controllers per shift ran the tower operations. Six wrongful-death lawsuits were filed against the City of Chicago and its air traffic control operations at Meigs Field. One lawsuit alleges that the City of Chicago failed to exercise care in its ownership, operation and maintenance of Meigs Field. 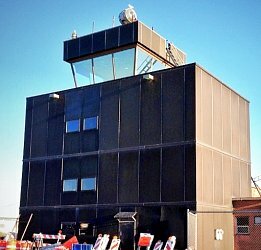 It also said that the contractor to operate the tower, Midwest Air Traffic Control, Inc., failed to provide adequate staffing in the tower, failed to monitor the performance of the controllers, and failed to ensure reasonably safe air traffic control services to aircraft landing at Meigs Field. The controller on duty at the time of the crash failed to issue appropriate and necessary traffic directions to planes using Meigs Field, failed to alert the Cessna of the unsafe proximity of the Bonanza, issued inaccurate and/or misleading traffic directions to the planes, and failed to keep them safely separated from each other in order to avoid a mid-air collision. Mount Saint Mary College, a Catholic women's college in Hooksett, New Hampshire, and her M.A. from Mount Holyoke College and has been awarded several honorary degrees. She had worked previously as a teacher, highway safety administrator, and the director of Logan International Airport. Appointed by President Bill Clinton, she is the first Administrator who was not a licensed pilot. She serves on the board of United Continental Holdings, is chairman of Meridiam in North America, and is a board member of MITRE Corporation. July 31, 1997 - FedEx Express Flight 14, a McDonnell MD-11F, from Singapore to Newark crashed during landing, and flipped upside down, catching fire. Three passengers and two crewmembers all survived. During the flight, the pilots were concerned that they would have little stopping distance after landing, and the captain said that he wanted to put the jet down early on the runway. The MD-11F had departed with one thrust reverser (on the left wing) inoperative, and a maintenance log indicated the auto-brakes had failed to activate during previous landings. The landing was normal until the jet bounced, and rolled to the right. On the 2nd touchdown, about 1,100 feet later, the right gear snapped and the No. 3 engine (right wing engine) contacted the runway, with the right roll continuing until the right wing spars broke. The jet came to rest on its back and caught fire. All 5 occupants escaped through the cockpit window. The NTSB concluded that the probable cause was the captain's over-control of the jet during the landing and his failure to go around after a destabilized flare. They also recommended that the FAA develop new pilot training tools about factors that can contribute to structural failures involving the landing gear, wings, and fuselage, such as sink rate limits; roll angle limits, control inputs roll rate; single-gear landings; the effect of decreased lift. 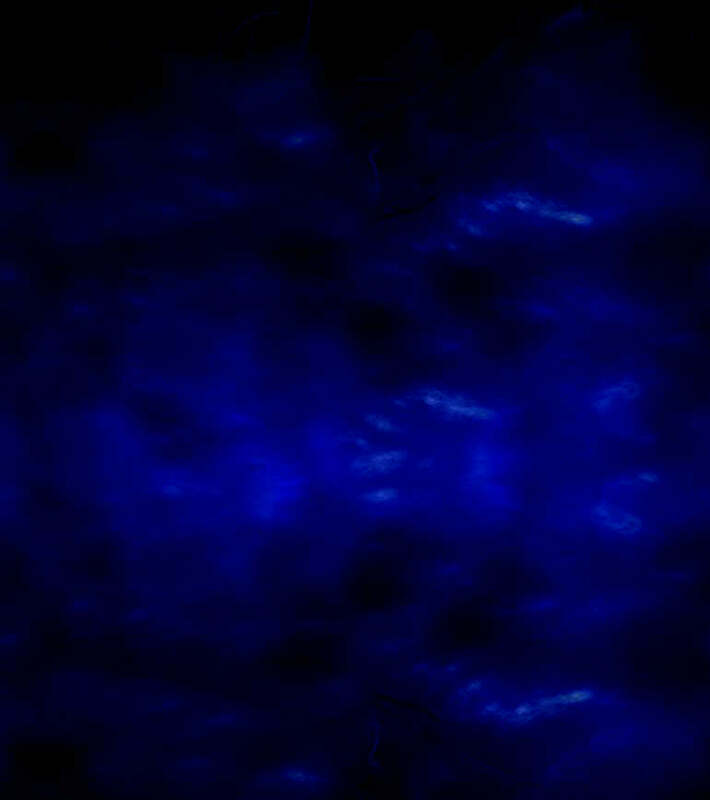 Also to provide simulator training on the execution of stabilized approaches to the landing flare, the identification of unstabilized landing flares, and recovery from this situations, including proper high sink rate recovery techniques during flare to landing, techniques for avoiding and recovering from over control in pitch before touchdown, and techniques for avoiding over control and premature derotation during a bounced landing; and to promote an orientation toward a proactive go-around. 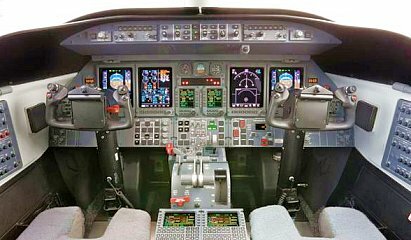 September 22, 1997 - Bombardier Aerospace announced that the FAA had granted final certification of Learjet's pioneer Model 45, the world's first business jet designed and manufactured entirely by computer. 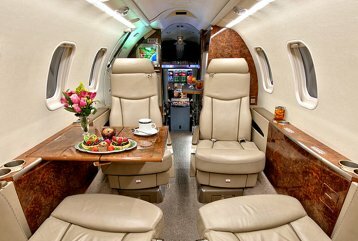 The aircraft was Learjet's first all-new jet in 30 years and its third aircraft to be certified since the company was acquired by Bombardier Inc. in 1990. Learjet is a Canadian owned, American manufacturer of business jets for civilian and military use. Founded in the late 1950s by William Powell Lear as Swiss American Aviation Corporation, it has been a subsidiary of Canadian Bombardier Aerospace since 1990, which markets it as the "Bombardier Learjet Family." 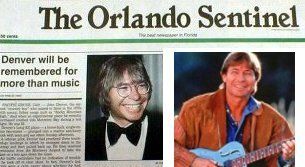 October 12, 1997 - John Denver, 53, a licensed pilot was killed when his fiber glass plane, a Long-EZ, crashed about 100 yards offshore in Monterey Bay shortly after taking off from Monterey, California airport. Denver was an experienced pilot and was practicing taking off and landing when the accident occurred. Apparently the engine failed. He had 14 gold and 8 platinum albums in the United States, and was popular around the world. In addition to his music and television awards, Denver also received recognition from several environmental groups for his advocacy of his beloved Rocky Mountains. Born Henry John Deutschendorf Jr., John Denver studied architecture at Texas Tech and went west in 1965 to pursue a career in folk music.